The Driver and Vehicle Licensing Authority (DVLA) has opened an office at Wenchi in the Brong-Ahafo Region. This brings to five, the number of DVLA offices in the Brong Ahafo region and twenty-nine across the country. The office would serve customers within that enclave who, hitherto, travel to Techiman and Kintampo to access vehicle registration among other services. The Chief Executive of the Authority, Kwasi Agyeman Busia, said the Authority is poised for excellence in its service delivery. To realise the dream, he said, his outfit would invest in its digital and physical infrastructure space and also make capacity building programmes a top priority to enable employees to enhance quality service delivery to clients. The Authority, Mr. Busia said, is introducing new innovations including the use of some local dialects into the system in order to serve the various segments especially for applicants who are billed to write the Computer Based Test. DVLA, Mr. Busia stated, is also partnering the Environmental Protection Agency to implement standards on vehicle emissions, so as to reduce air pollution. The collaboration between the two organisations, he noted, would contribute to government efforts at eliminating air borne and respiratory diseases in the system. In a speech read on his behalf, the Minister of Transport, Kweku Ofori Asiamah, urged the various transport unions to ensure that their members (drivers) do not engage in substance or drug abuse before driving in order to reduce accidents on the roads. He described the death of nearly 2,000 people and over 3,000 injuries recorded through road accidents last year as “frightening and unacceptable”, and called on all road users to adhere to road signs and regulations to curb the situation. The Minister also called on law enforcement agencies to enforce the law to check the growing indiscipline by motorists on the road. While commending officials of DVLA for the new office complex, he encouraged the staff to take good care of the building and the equipment to ensure its longevity. 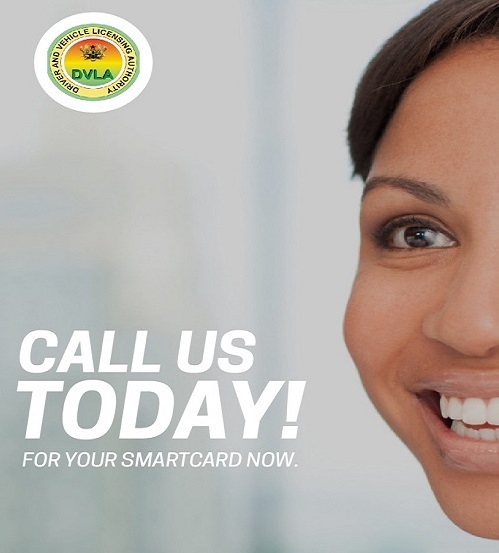 The Board Chairman of DVLA, Mr. Frank Davies, entreated staff of Authority to give of their best and make customers the centerpiece of their operations. He warned that any staff found exhibiting inappropriate behavior, which would mar the integrity of the Authority, would not be spared. The Brong Ahafo Regional Manager of the Authority, Mr. Samuel Bosompem commended the Chief Executive for the bold initiative saying the opening of the new office was long expected by the Chiefs and people of the area. The Acting President of the Wenchi Traditional Council, Nana Owusu Yeboah Afari, said the occasion brings back a lot of memories to Wenchi adding that the area was noted for a service town where tomato, tobacco, soap manufacturing factories among others were boosted but same cannot be said now. He stated that the office would bring people across the country to the area thereby boosting local economy.